Okay, after five posts on “Why Cry?” (Parts 1-5), time for some light-hearted fun where Dr. Kathy McGuire plays with her collection of Jason Wu’s fantastic Fashion Royalty dolls and their male escorts on the Red Carpet for Oscar night. 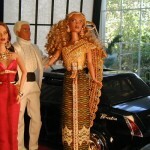 Wu, who designed Michele Obama’s Inaugural Ball Gown, began winning Barbie doll fashion design contests at age 16, went on to join multi-ethnic doll company Integrity Toys (www.integritytoys.com ), and soon started his own line for Integrity, the Fashion Royalty dolls (www.fashionroyalty.com ). 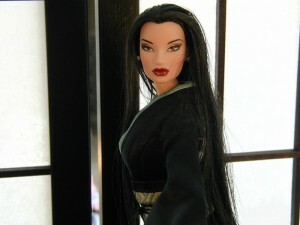 Initially extremely limited (100-1000 max, compared to Barbie’s 30,000-100,000! ), with beautiful authentic multi-ethnic face sculpts with fabulous makeup, and fashions from gorgeous fabrics, totally lined, with tucks and pleats and flounces and buttons and snaps galore (compared to Barbie’s velcro closings! 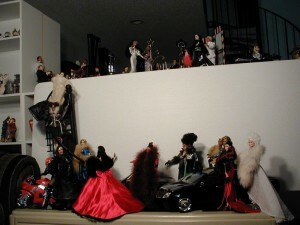 ), Wu’s Fashion Royalty dolls took the doll collecting world by storm. The entire new line was bought up in Spring and Fall completely on Pre-Order, sight unseen, and dolls immediately tripled (or more!) in value on ebay. OBAMA DESIGNER JASON WU’S 2009 FASHION ROYALTY PRE-ORDER TODAY! If you go to Wu’s Integrity Toys’ website, makers of his Fashion Royalty and other doll lines , you will find a complete gallery of photos of all his doll lines presented at last week’s Toy Fair. www.integritytoys.com/gallery There are the lower-cost Dynamite Girls, Fashion Royalty, the Hollywood Legends Josephine Parker and Lana Turner, and the new, ultra-articulated 16 inch dolls. 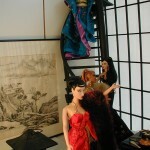 You will also find Wu and Mel Odom’s collaboration on the new Gene Marshall doll and her friends with fantastic 1940’s wordrobe. This gallery is only available for a few weeks from Feb. 20, 2009. At least in the past, Wu’s Fashion Royalty dolls have sold out immediately on Pre-Order on the day of their release which, I think, is today!!!! My present dealer, Pat Feick, at www.patspotpourri.com begins taking pre-orders today, I think, although I don’t see the photos on her website yet. 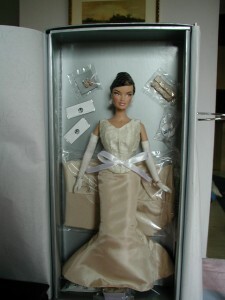 If I were you, I might choose the dolls I want from the Integrity Toys gallery (also accessed from http://www.fashionroyalty.com/news.html , click on Enter Presentation here), get their names, and email Pat, or another dealer (all dealers are listed on the Fashion Royalty website) with your interest immediately. Pat’s email and other ordering info are on her website. Sorry, non-doll lovers on my feed, but you cannot imagine what a frenzy ordering these dolls can be! They are highly limited editions, multi-ethnic, spectacularly sculpted and dressed, and now that Jason Wu has entered the limelight even more, since Michelle Obama chose to wear his design for her Inaugural Ball gown, hard to predict what will happen with Jason’s doll line (as well as his human line, of course, at www.jasonwustudio.com ). Fashion Royalty dolls by Jason Wu, designer of Michelle Obama’s Inauguration ball gown, celebrate Chinese New Years with Fashion Loft furnishing. Wu was the first to present a full line of beautifully sculpted multi-ethnic 11 1/2 inch fashion dolls. 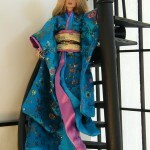 Except for Kyori’s black kimono with cranes, kimonos are largely borrowed from Yue Sae Wa Wa dolls. 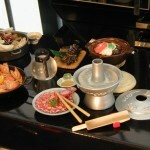 Tiny authentic food comes from the Re-Ment company. 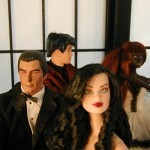 Someone has sent me a link to a website giving photos of the complete line of Fashion Royalty and other dolls by Jason Wu, designer of Michele Obama’s Inaugural gown: http://woodsky.free.fr/LBX/listeFR.html This is fabulous. You can see them all, huge variety, multi-ethnic, wonderful fashions. Of course, Jason Wu’s line for humans is at www.jasonwustudio.com . Along with Integrity Toys, Jason Wu has held up the banner for multi-ethnic dolls, and thus multi-ethnic people, for years. He deserves to be an overnight sensation. Teaming up with Integrity Toys, Jason Wu has produced the first line of 12-inch fashion dolls with authentic multi-ethnic face sculpts. 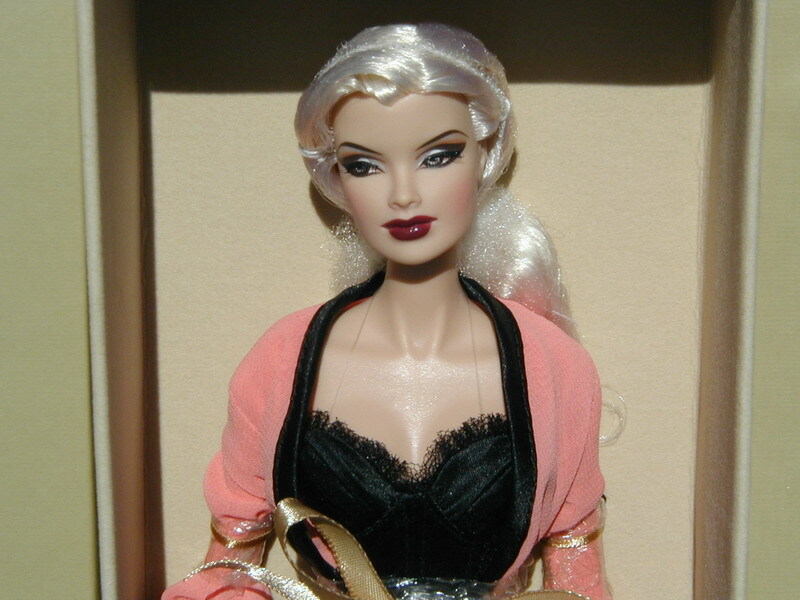 While Barbie has long come in “black” and “white” versions, the face sculpt was the same, only the color varying. Byron Lars, first African American designer for Mattel’s Barbie, did produce some more authentic African American Barbie dolls with luscious fashions mixing African tribal dress with the fashion runway. But Jason Wu remains king in terms of authentic facial sculpting. 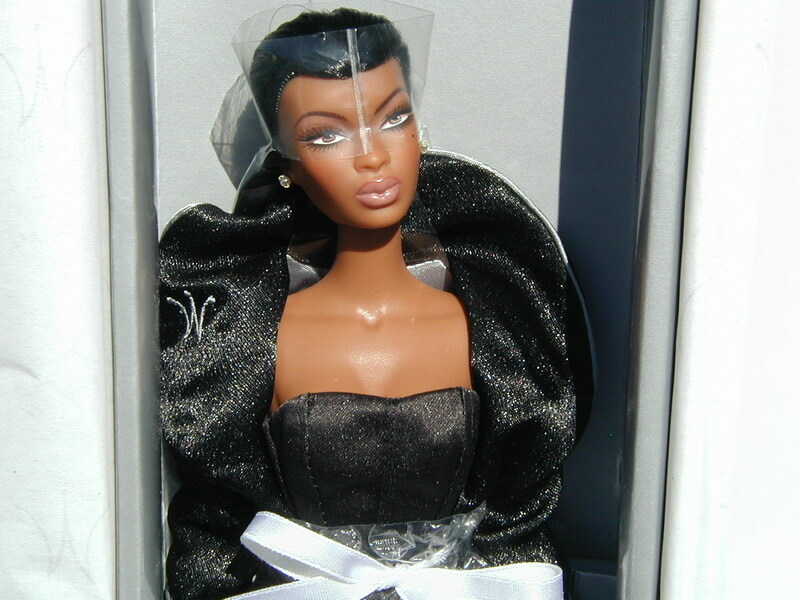 Constantly varying hair, makeup, skin tone, and sometimes the facial sculpts themselves, Wu has produced gorgeous Caucasion, African American, Hispanic, East Indian, and Asian Fashion Royalty dolls. 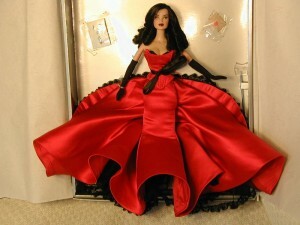 See www.fashionroyalty.com to find dealers for recent dolls and ebay to find sold-out earlier dolls. Finding early outlet for his design talent and aspirations by winning Barbie doll fashion design contests at age 16, Jason Wu went on to develop his own line of 12-inch multi-ethnic Fashion Royalty dolls.Here you see the earliest Fashion Royalty 12-inch dolls released by Jason Wu, designer of Michele Obama’s inaugural gown (see www.jasonwustudio.com for human collections! ), and Integrity Toys (www.integritytoys.com) in 2003. Causing a huge stir, the dolls were immediately sold out and tripled in price (and more!) on ebay. Limited to 500-1000 dolls (Barbie editions = 50,000 plus!) with exquisite facial sculpts, fabrics, and detailing. 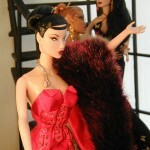 Mattel’s Barbie has gone through complete revision in an attempt to “catch up.” I have included some comparisons between equivalent Barbie Silkstone and Fashion Royalty dolls. 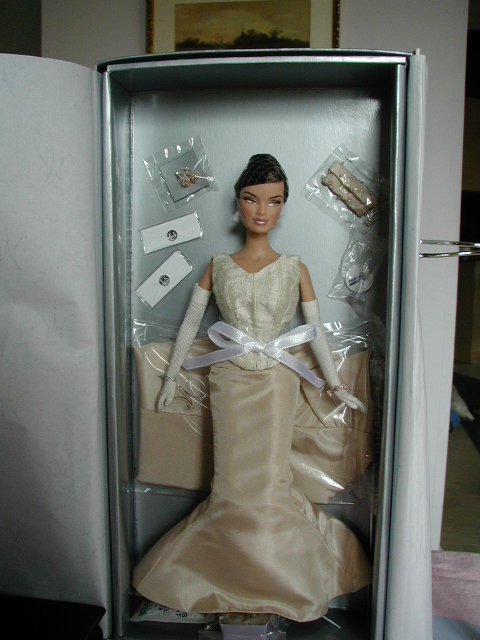 If you want to own a little bit of Jason Wu fashion yourself, you can search for Fashion Royalty Doll on ebay (category Dolls and Bears) for early dolls or see dealers listed at www.fashionroyalty.com . 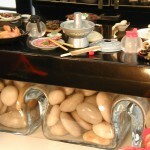 I can recommend Pat Feick at http://patspotpourri.com. JASON WU: MICHELE OBAMA AND FASHION ROYALTY DOLLS!!! 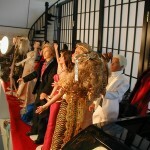 www.integritytoys.com , started his own line of 12 inch fashion dolls, the multi-ethnic Fashion Royalty dolls (view the various collections in the archives at www.fashionroyalty.com ). 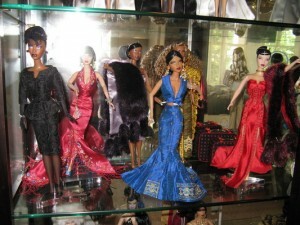 These dolls took the collectibles world by storm, with faces beautifully and accurately sculpted by Wu — African American Adele, Caucasion Veronique, Asian Kyori, later an East Indian Bollywood beauty and Hispanic doll, and many more. Wu was famous immediately for his beautifully-crafted doll fashions, fabulous fabrics, completely lined, snap and eyelet closings (instead of Barbie’s velcro), embroidery, fine detailing in buttons, darts, gathers. Besides his authentically sculpted multi-ethnic females, Wu added a line of stunning male dolls of a variety of ethnicities, also with cutting edge fashions. 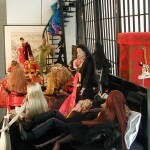 Wu and company also designed furnishing for the Fashion Royalty Loft collection. Story line: Competing Fashion Agencies go for blood. 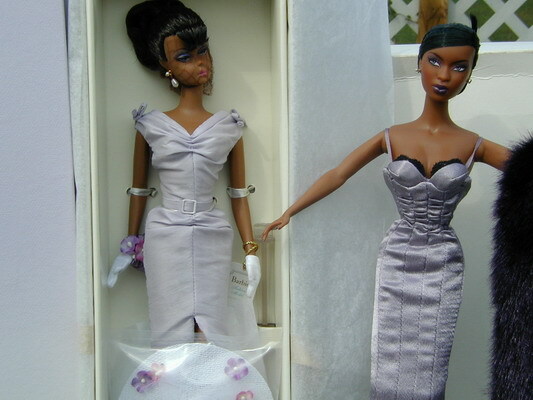 Mattel and Barbie fought back with their own Fashion Model line, but nothing beat the very limited (initially 100-500 per doll) and highly sought-after Fashion Royalty dolls (early editions completely sold out in pre-sales, sight unseen, and immediately tripled in value in Ebay resales). 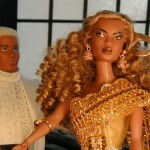 Wu began making celebrity dolls, starting with his Ru Paul series. Recently, he bought the struggling Gene Marshall line from Ashton Drake, and, with designer Mel Odom, revitalized Gene with updated facial sculpts and fashions. 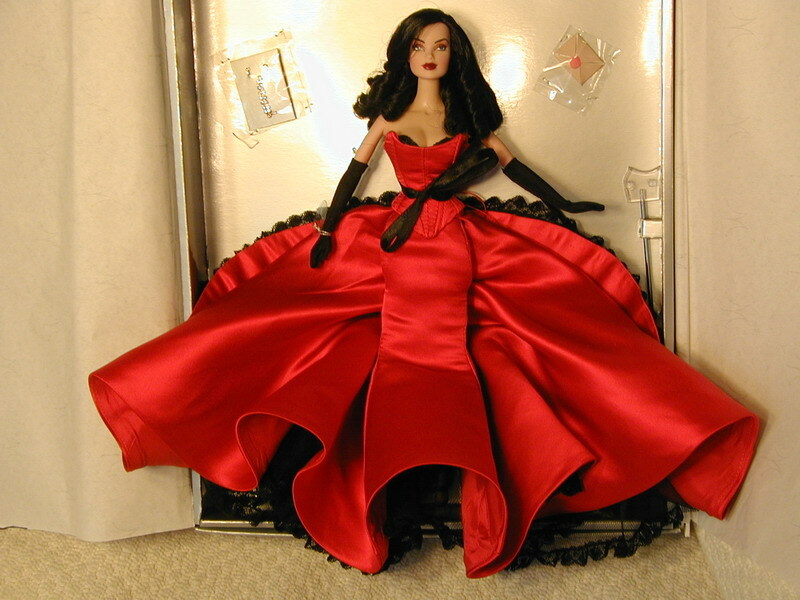 Gene Marshall was the first 16 inch collectible fashion doll, a “1940’s actress starring in many roles in her story line.” Marshall also now has multi-ethnic friends. About three years ago, Wu moved into human-size fashion design, and he has been featured in Vogue magazine several times. He has designed costumes for the ballet in New York, has a following among actresses and models, and, now, at age 26, has dressed the First Lady of America on her most important evening! Hooray for Jason Wu and Integrity Toys, which has been creating authentic multi-ethnic dolls for many years.